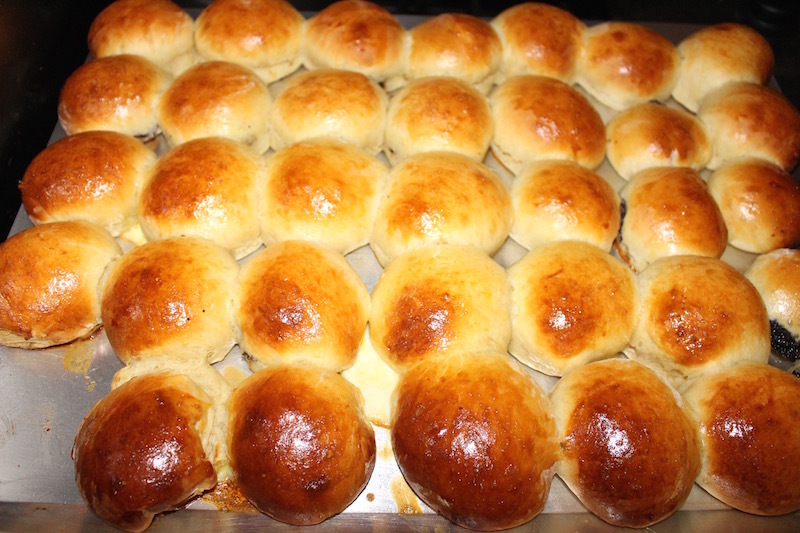 This is one of my favorite recipes to make buns (bulochki). My mom gave me this recipe when I just started baking and I still use it to this day. They come out fantastic each time and are also pretty quick to make. Anytime I make these buns my kids and grandkids eat them right away and ask for more. 1.) In a medium size bowl add your sugar, yeast, warm milk and mix well.Let it sit for 15 minutes then, add butter, eggs, and olive oil. Mix Well. 2.) 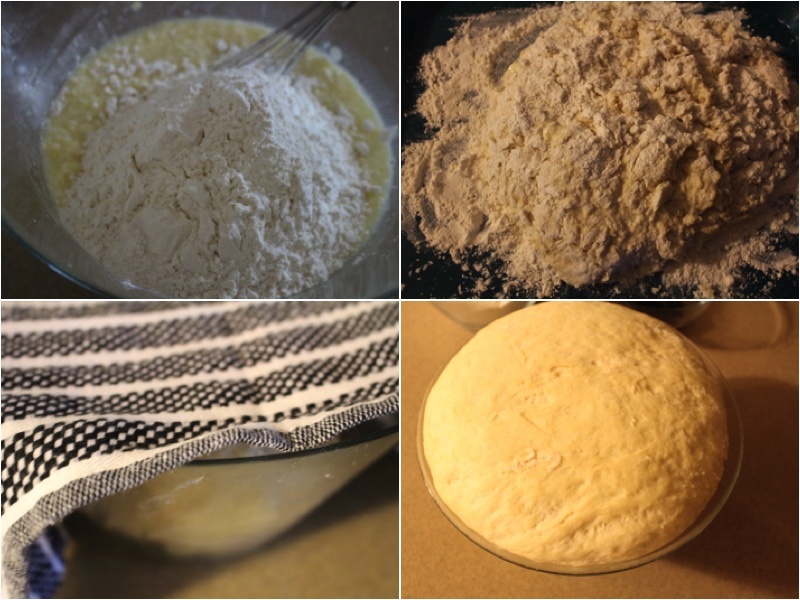 Add sifted flour to your yeast mixture. Mix well and place on a lightly floured surface. Kneed the dough until it is smooth and elastic. Cover your dough and let it rise in warm area for 1 hour. 3.) Roll out your dough on a lightly floured surface to make round shaped cuts with a drinking glass. 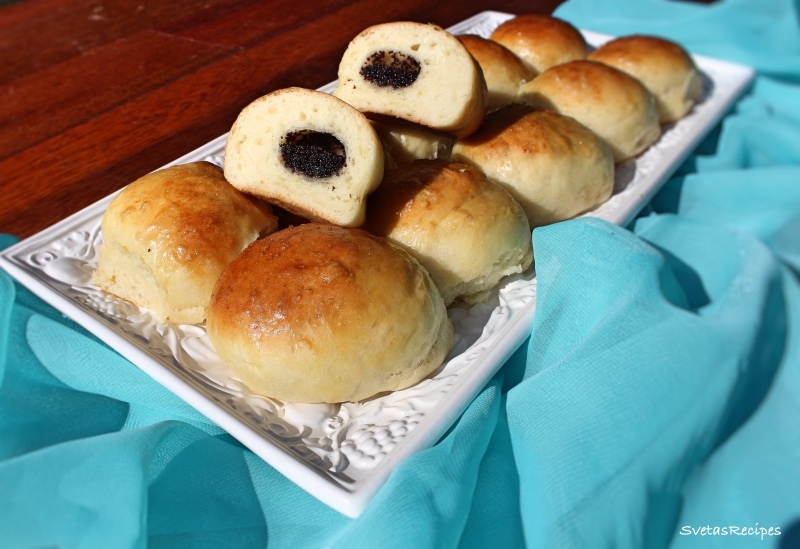 After you finish, remove excess dough and add butter poppy seeds to each round piece of dough. 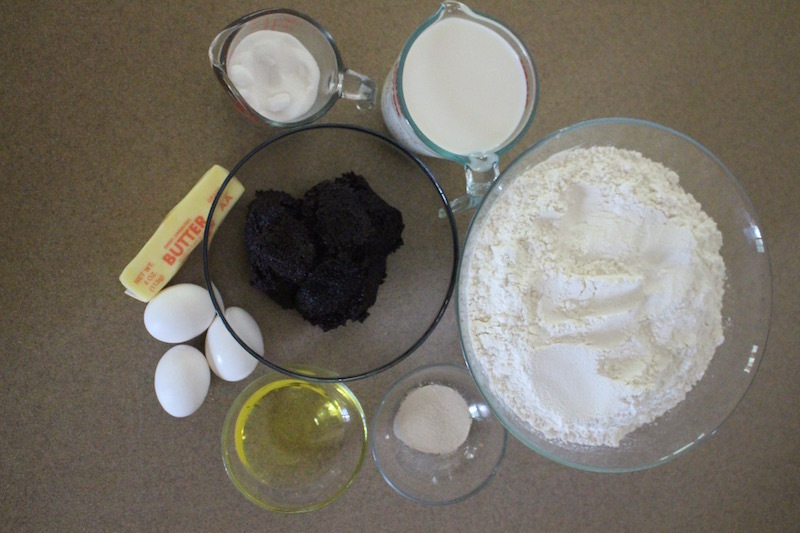 Next overlap the poppy seeds with dough. 4.) Place all your pieces on a baking sheet ( make sure to spray it with cooking spray before placing raw bulochki). Let them sit for around 20 minutes so they can rise a little bit. 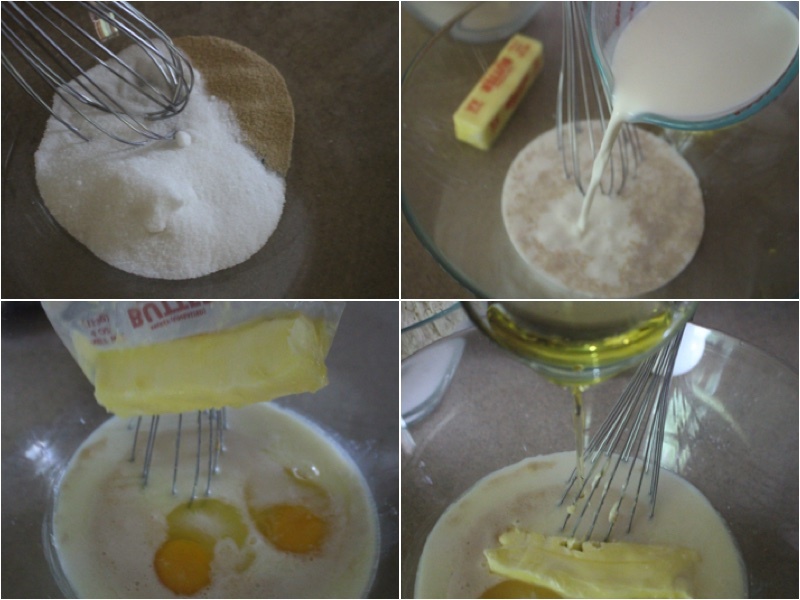 Coat them with mixed eggs using a brush. 5.) 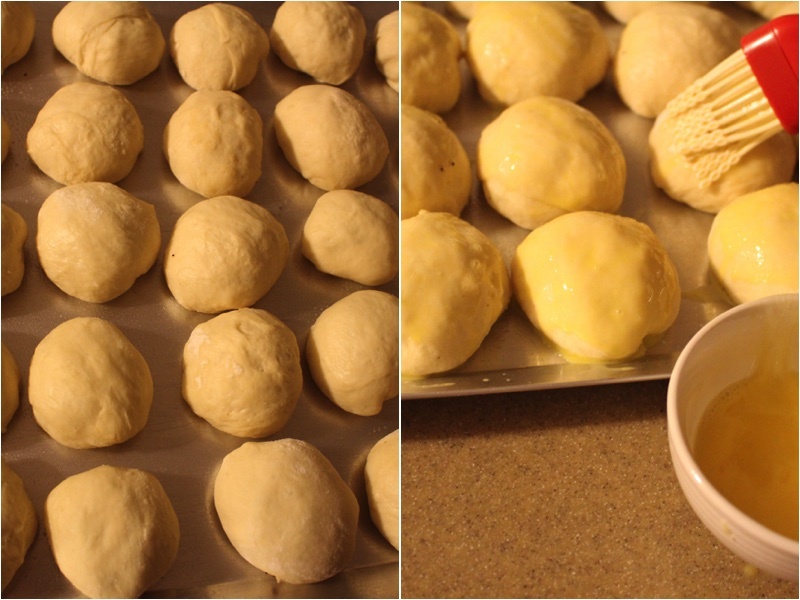 Bake at 350°F for 35 minutes Or until they are lightly brown as shown in the picture above. Place on a serving dish and enjoy! 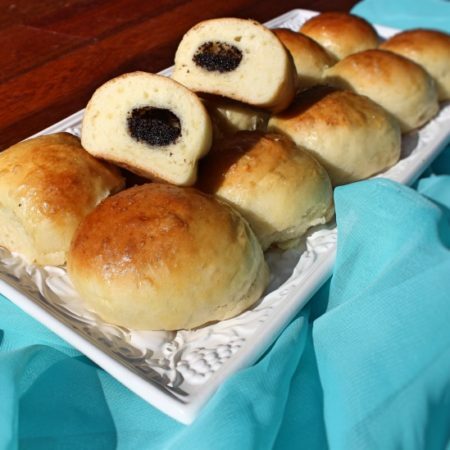 This is one of my favorite recipes to make buns (bulochki). My mom gave me this recipe when I just started baking and I still use it to this day. They come out fantastic each time and it's also pretty quick to make. Anytime I make these buns my kids and grandkids eat them right away and ask for more. In a medium sized bowl add your sugar, yeast, milk and mix well. Also let it sit for 15 minutes then, add butter, eggs and olive oil. Mix Well. Add your sifted flour to your yeast mixture. Mix well and place on lightly floured surface. Kneed the dough until smooth and elastic. Cover your dough and let it rise in a warm area for 1 hour. Roll out your dough on a lightly floured surface to make cuts with a glass. 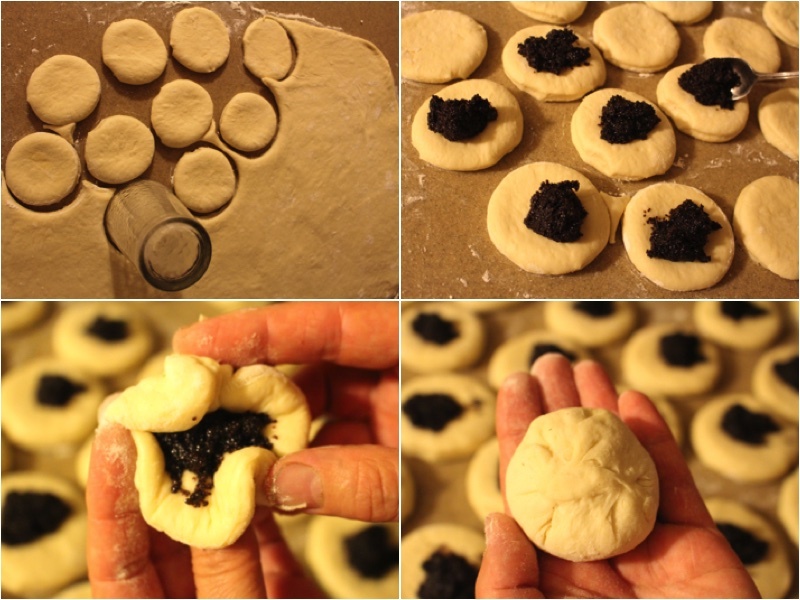 After done remove excess dough and add butter poppy seeds to each piece. Next overlap the poppy seeds with dough. Place all your pieces on baking sheets that have been sprayed with cooking spray. Let the sit for around 20 minutes so they can rise a little bit. Coat the with mixed eggs and a brush. Bake on 350°F for 35 minutes Or until lightly brown. Place on a serving dish and enjoy!